FREMONT KNIVES, yes we are “different” maybe even a little “weird”. We embrace being a little different for a reason. “It works”! We are quite simply, “knife guys”. We didn’t grow up coddled, sheltered or given everything. We were taught the value of hard work and satisfaction of a job well done. We also are honest to a fault. We have big mouths, say what we think and mean what we say. These things make up the “attitudes” that our teachers warned our parents were bad, but they work for us. Just like us, our tools are simple and functional, often described as “UNIQUE,” They are based on sound functional ideas, THEY ARE NOT TRADITIONAL. These products are based on studying our own habits, good and bad. Our friends habits were also observed and faithfully mocked while in the field, all the while we learn. Through this experience we gained some amazing and sometimes profound insight from which led us to some pretty innovative functional solutions to everyday common tasks. We love the outdoors and want you get the very best tools in our pack. Since you have stopped by our web site, we assume you feel the same way about “the right tool for the job,” concept as we do. So give the gear a look and when you have questions, don’t be shy. Let us know what you think, your feedback may just cause a design change. 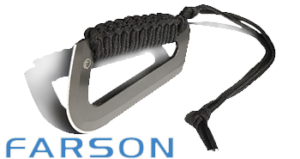 The Farson Blade is brilliant prehistoric tool, we modernized from an ancient tool we found in the Great Red Desert near Farson Wyoming. W hen you truly staked you life on a tool, the design matters. This tool can nearly do it all. This tool out performs anything you may have had in your hands lately. Choke up on the tool, use it like a knife or firmly grasp the handle and make short work of kindling. Whether you are building a shelter, skinning big game, or simply preparing dinner at camp this unique design gets it done. Sharp and Stout this general purpose outdoor knife can master all of your hunting and skinning chores. 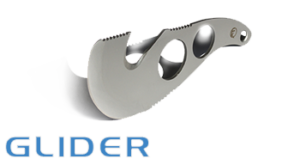 The 5” inch blade can handle the big jobs like cutting through bone or tree limbs too. 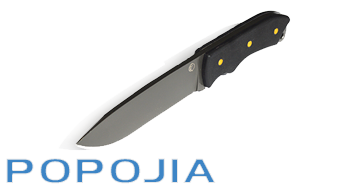 With the strong blade, long blade, it works well in a survival situation. 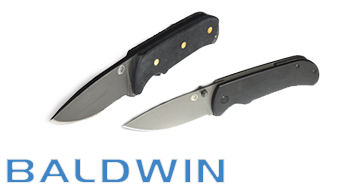 The Baldwin Creek is a stout, general purpose outdoor knife that can handle all of your hunting and skinning chores. The 3” inch blade is a perfect size for processing. 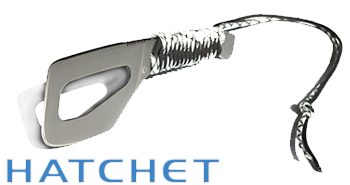 With the strong blade, it works well in a survival situation. 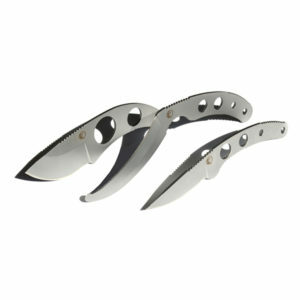 Also offered in a clip, folder perfect for a everyday carry.